I grew up in a family where dessert was mandated (by my father) every night. I also grew up in Germany so fresh or cooked fruit with whipped cream or lightly sweetened quark was considered–and is–a wonderful dessert. We also had puddings, tarts, pies, and all sorts of wonderful German baked goods my American mother perfected to my German father’s delight. So there was always a little something sweet after dinner. We all loved it. I started making desserts at an early age and went through a long period of making Joy of Cooking layered cakes with things like orange cream filling and Devil’s Food Cake Cockaigne (what does that word mean and where does it come from?). I still love dessert in all its wonderful forms but my palate has evolved a bit and I like things less sweet than I used to. I still love the occasional layer cake but am more drawn to fruit desserts, tarts, cookies, and quick breads these days. And I have to admit that I don’t feel so good after eating a lot of sugar. So I tend to reduce the amount of sugar in most recipes and make my jams with a quarter of the sugar I used to and think the result is often more flavorful. And besides the often-improved-flavor-factor I also know that refined sugars aren’t so good for us so, once again, moderation is here to save us! I love David Lebovitz’s blog and implicitly trust every one of his recipes. However, I have become a bit of a pathological recipe tinkerer. In part it’s because in order to properly use, e.g. adapt other published recipes you need to make them you’re own before you post them and because I’m just curious and I am Miss Cook With What You Have after all, so if I don’t have sour cream I’ll use yogurt or if I don’t have a scallions I’ll use a chunk of regular onion, etc. 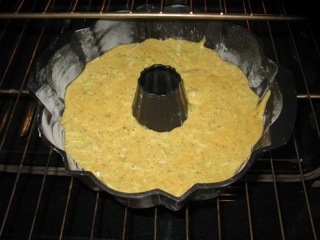 In any case one of David Lebovitz’s recent posts was about a zucchini cake. I tried hard not to tinker much so I only made two changes. I reduced the amount of sugar by a generous 1/4 cup and squeezed the grated zucchini out in a tea towel, removing some of the moisture and enabling me to pack more zucchini (but still adhere to his weight prescription) into this amazing cake. 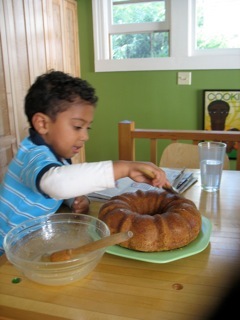 So instead of rewriting his recipe in my own words I’ll leave you with the link. 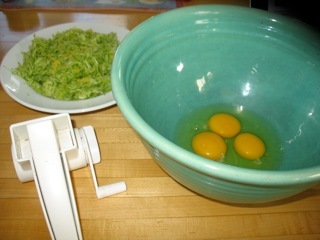 Do be sure to use lemon zest, as he suggests in the body of the post but not in the recipe itself. And if you care to decrease the sugar, I do recommend it. Oh and I use my Zyliss cheese grater to grind nuts (almonds in this case) since it results in a much fluffier texture. I think food processor’s tend to turn them a bit oily and chunkier but either way will be fine I’m sure. This cake instantly made my top-five dessert list. I think it’s that good. 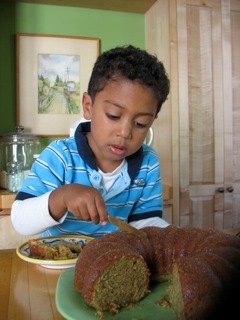 And since my summer squash plants are still producing we may have less ratatouille this year and more zucchini cake. Oh and I made the glaze exactly like he describes though mine soaked into the cake more and didn’t leave much of a visible coating. It did not seem to compromise the flavor and I definitely wouldn’t skip the glaze. So, go put those zucchini to use! You’re right, these always make me smile – or laugh out loud! If you ever wanted to do a pudding issue Daddy did love his blanc mange, tapioca pudding, chocolate pudding – all in the double boiler. And then there was “pudding cereal” – cream of wheat cooked with an egg yolk and raisins and then the egg white beaten and folded in. Very fun for me to think back on all of this which I would not likely have done without your inspiration. I had forgotten about the “pudding cereal”! Your comment reminded me of the time you used bean sprout “water” in the chocolate pudding and told him after the fact:)! I think “cockaigne” describes a baked good that relies on well-beaten eggs, rather than baking powder, for it’s rise.